A touch of a button. That’s all it takes to hail a ride from ridesharing companies such as Uber and Lyft. And after we hit that button, we usually get what we expect: a pleasant, efficient and economical ride to our destination. But sometimes, our journey veers far off-course. 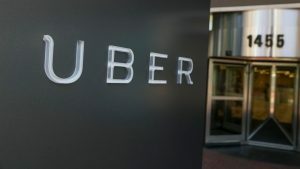 A 2018 investigation by CNN Money found that 103 Uber drivers had been accused of sexual abuse or assault and 18 Lyft drivers faced the same charges. It is well-known that sexual violence is underreported; according to the National Sexual Violence Resource Center, 63% of sexual assaults are not relayed to law enforcement. Further, the majority of sexual harassment and misconduct incidents are not reported to police. Given these facts, it seems reasonable to conclude that the number of ridesharing offenders far exceed the reported figures. Uber and Lyft are not only convenient for consumers – perpetrators of sexual violence have used ridesharing to scope for and target their victims. Sometimes these offenders pose as drivers, using counterfeit signs to display a ridesharing company’s name on their vehicles. Other times they simply cruise areas, such as streets where bars and clubs are located, in hopes of finding impaired, vulnerable victims. In March of 2019, 21-year old South Carolina college student, Samantha Josephson, entered a vehicle she thought was her Uber. She was later found dead; the man she thought was her driver has been charged with her murder. In response to Josephson’s slaying, lawmakers in North Carolina and South Carolina have proposed legislation requiring ridesharing drivers to display lighted company signs on their cars; the bills also stipulate that drivers must return the signs when they are no longer employed by the company. NBC News reports a “What’s My Name?” campaign, initiated by the University of South Carolina, after Josephson’s murder. This public-awareness endeavor encourages riders to ask drivers to state their names before entering a rideshare vehicle. Call your ride from an indoor location. Only go out once the app shows that your ride has arrived. Check the vehicle’s identifying information against the information displayed on the app. Do the same for the driver. Ask the driver to confirm your name. Share your trip details with friends so they will know when you’re leaving and when you will arrive at your destination. Sit in the back seat if you are the only passenger. Do not share personal information, such as your phone number, with your driver. In ridesharing, as in all cases of sexual assault and harassment, the victim is not to blame for the perpetrator’s offenses. Following safety guidelines may help passengers feel more in control and even reduce the likelihood that they will be victimized by rideshare drivers. But despite our best efforts and practices, sexual violence – in all its forms, including assault and harassment – will continue in the rideshare industry. While companies such as Uber and Lyft have taken some measures to promote rider safety, they have much more work to do. The ridesharing industry must do more to ensure the recruitment of safe drivers, to hold offenders accountable, and to foster safe environments for consumers. If you or someone you know has been sexually assaulted or harassed by an Uber or Lyft driver, please contact one of our experienced attorneys to explore how the civil justice system can help you hold these ridesharing companies responsible.